What a relaxing day off work, do I really have to go back tomorrow? Oh well. I had a very chill day shopping at Ross for some spring wardrobe updates and I actually found a lot of items I liked. I usually avoid stores like Ross because I can rarely find anything I like and it takes too long to find a few pieces, but I decided to stop by our local store since it’s been years and I was pleasantly surprised by all the cute $8 tops I found. It was followed up by weekly load up at Whole Foods which always puts me in a good mood, I grabbed some new vegan meat alternatives to try this week as well as a pretty good produce haul. Other than that, I’ve been catching up on house chores and watching TV. I’m pretty lucky with my job rarely having to work overtime. My husband, on the other hand, has periods where he works a lot of overtime and almost needs to set up camp in his office. During such stressful times, trying to get healthy foods is not so easy, office meals are usually fast food. And he usually dashes out the door without breakfast unless I stuff a smoothie-loaded Klean Kanteen into his work bag. 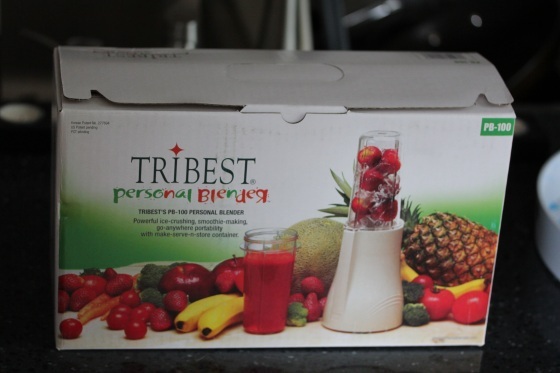 So I’m thrilled he bought himself a new toy for the office, a Tribest PB-100 personal blender. The blender came with one blade base, two personal blending cups/containers and a travel lid to fit on the cups for fast drinking. 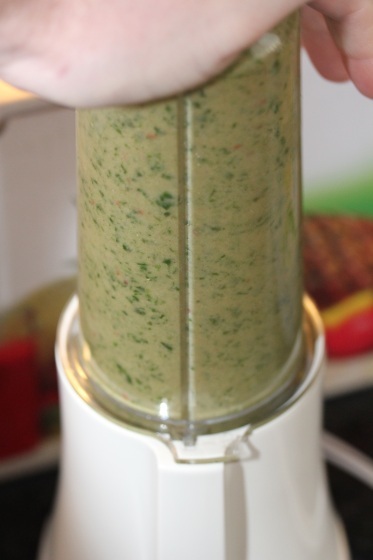 Using it was pretty straight forward, load a cup with smoothie ingredients, screw the blending lid, turn upside down on the base and push down to blend. For a little blender, it seemed impressively powerful chewing up ice nicely. Not Vita-Mix powerful, but enough to get the job down quickly and efficiently when at the office or on the road. The end result was a pretty smooth smoothie and ready to drink from the cup. He packed it up today with some fruit, frozen spinach and SunWarrior protein powder to take to work for emergency meals and tried it today at lunch. It’s a little noisy, but that wasn’t a problem in the large break room. But the noise might be a little loud for desk use in cube farms. For me, I can’t really justify the need for one with my work schedule, I’ll occasionally make a lunch smoothie at home and take to work in a Klean Kanteen, but I always have to have my breakfast smoothie before leaving for work. And I could never see myself packing this in a suitcase for traveling, the airline luggage weight limits are bad enough! But this is great for his work schedule and he has a nice office setup to use it. For dinner, I wasn’t sure what I was craving, but knew I haven’t touched the garbanzo bean flour in my pantry in too long. 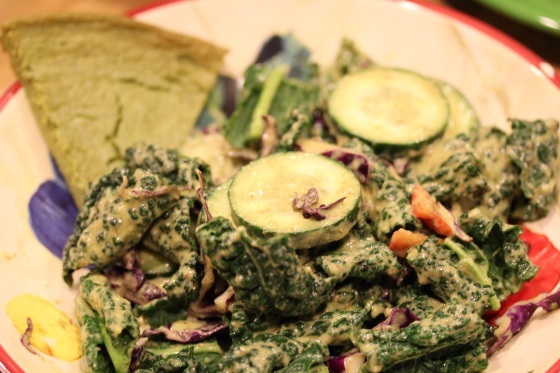 So I hit up the twins site for a new socca recipe to try and selected spinach socca. I just poured the batter from the Vita-Mix into the heated pie dish in the oven and baked for 35 minutes at 400 degrees. 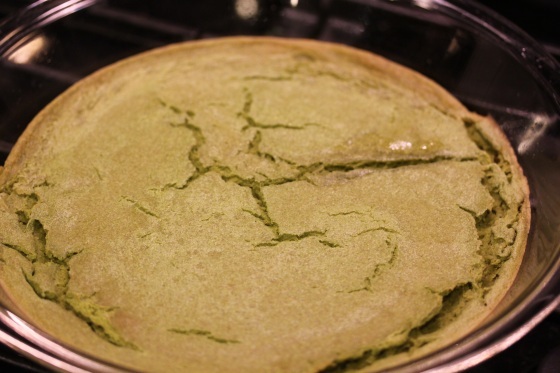 The end result was very successful, it didn’t stick this time and the socca had a crispy exterior and a warm, soft interior – dare I say it came out perfect? 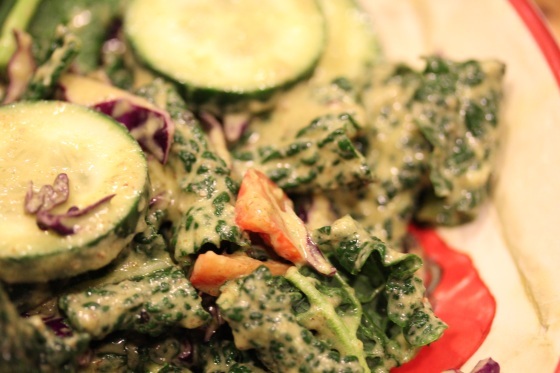 I paired it with a monster kale salad dressed with Gena’s Zucchini Dressing, if you haven’t tried that dressing yet – do it! 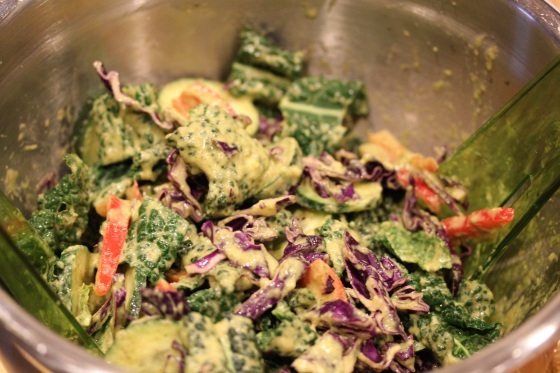 It has a nice savory flavor that adds zing and complemented that slightly bitter kale nicely. The socca was great, perfect for wiping the extra dressing up and adding a satisfying chunk to the salad. I’m itching to try socca as a pizza crust next. 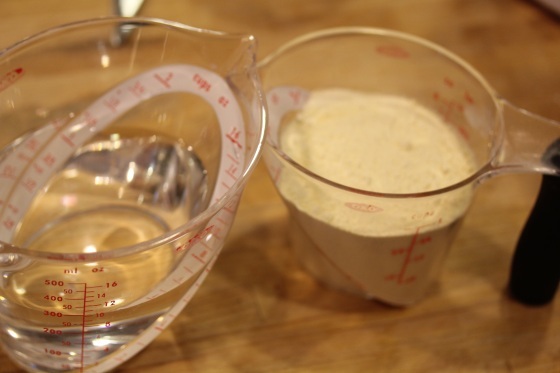 Have you tried a socca recipe yet or any recipe with garbanzo bean four? Did you like it? 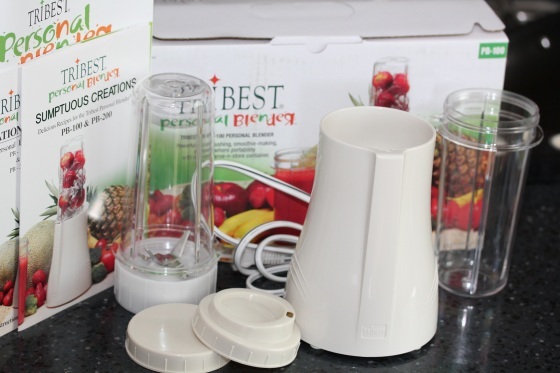 I’ve never seen a blender like that, a single serving one where the blender chamber doubles as a cup, it’s a cool idea! 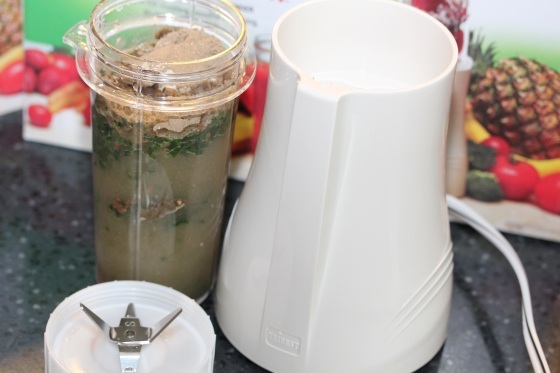 As is taking a blender to the office – what a great way to have a fresh smoothie in the middle of the day. 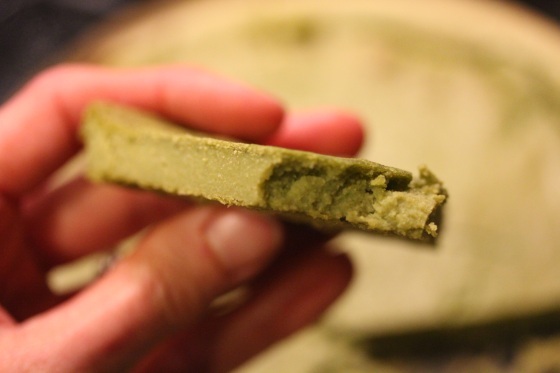 That socca looks delicious – I love anything made with chickpea flour! I love my Oster Blend ‘n Go. The container is similar to yours, comes with a sippy lid, and I just used the regular oster blade. 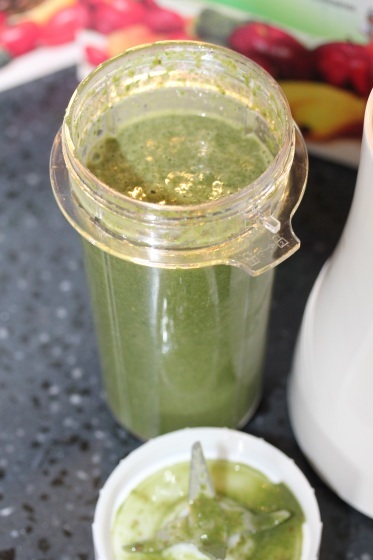 I tend to juice in the morning before work and take a green smoothie to work and sip (with a straw, it gets thick!) mid-morning for a snack. I’ve seen socca all over the blogs and yet to try it. Yours looks great. Maybe I’ll try it! Socca is fun, especially with the Vita-Mix making it easier, because you can blend just about any seasonings and veggies you want into the batter. I can’t wait to try it as a high-protein pizza crust. I’ve never even heard of socca, but am going to try it tonight! Thanks for the idea! I am the only person to not yet make socca. I need to! yours DOES look perfect…..great job and i will remember to use the vita if i end up making it. good tip. the tribest. I have a magic bullet that i never use. Along with a juicer :) I dont need another gadget but that does look so cool! I really think i need to buy camera equipment over kitchen equip for awhile! haha! You’ve gotta try socca, maybe the chocolate one first. :-) I think that’s the one I’ll try next with a sweet butternut puree or a pizza version. 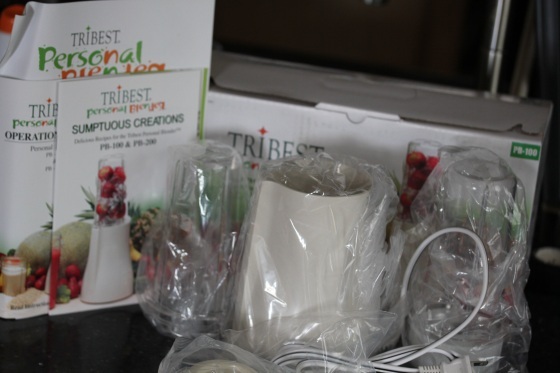 The TriBest is great for hubby’s needs, but I probably wouldn’t get much use out of it except for occasional trips. Agreed on the camera equipment! I’m about to try gena’s zucchini dressing! I’ve wondered about the tribest. It looks pretty good! Still haven’t tried socca…but it’s on my list. Socca is fun, the skillet recipe is faster, but a little tricky to flip. It makes a great sandwich bread, salad side or pizza crust. 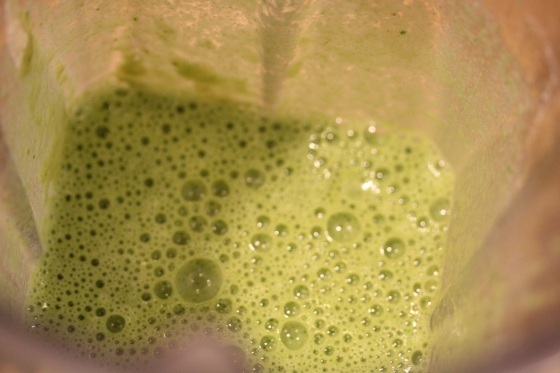 I have a magic bullet that I used to use all the time…but sadly, he has been sitting in the bottom of my kitchen drawer ever since I got my vitamix! Hi love!! I want to thank you so much for the info on the pic resizing! Im working on it ; ) U are so sweet to help me out! Thank you so much!!!!! The spinach socca looks amazing as ever! 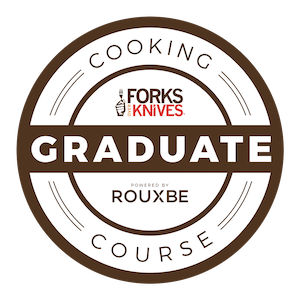 I will have to go to their site and check out the recipe! The twins have such great recipes!!! I have a magic bullet, so its like that blender you bought the hubby! I think thats great he can take it to work and make smoothies! Good idea! Hope you have a great day love and yes the snow stinks : p Im hoping to get out tomorrow ! The tribest is light and easy. Sadly I kinda burned it out on a month-long trip once. But it worked well then. I have made a socca just the plain kind. Good stuff. I haven’t tried the socca recipe, but I love garbanzo. I think its officially my favorite bean of them all! I have never used garbanzo bean flour, but I like to make my own garbanzo bean tempeh and garbanzo bean miso. 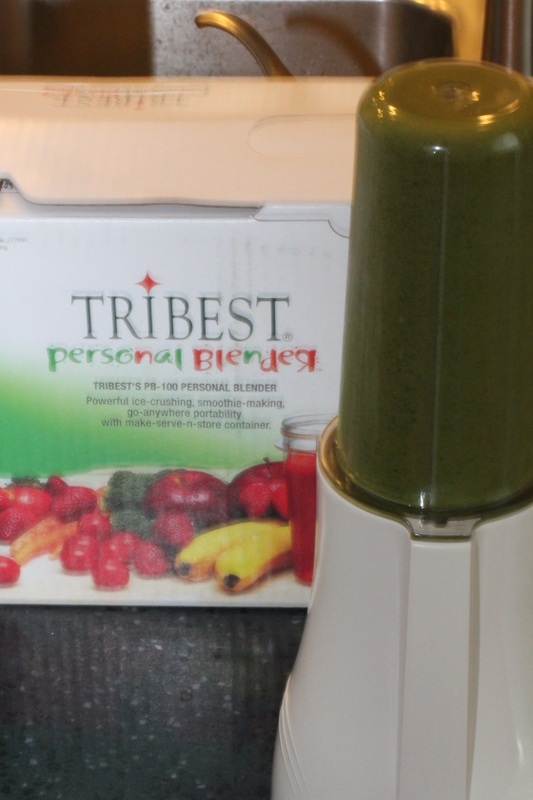 Those little Tribest blenders are cute, I have to stay I love my Blendtec for all my raw recipes, but I can see how the Tribest would come in handy for travel! Wow, I need to try making my own garbanzo bean tempeh, that sounds amazing! This is the first I’ve heard of this food called socca. I am intrigued and want to taste it ASAP. Totally try it, it’s fun and easy and makes a great high-protein flat bread that you can customize with just about any seasonings. as well as thee content!